This is the second post in a new category of “Vision Scientists and Artists”. It turns out that quite a number of vision scientists are artists and photographers and what they “see” is often a reflection of how they think about vision and the science behind vision. They often seen the world just a little differently and taking the time to explore it is often rewarding. Friend of Webvision Yves Sauvé, a vision scientist up at the University of Alberta sent these images a little while ago to share with the Webvision community. The two images including the abstract image at top is actually a plant Amorphophallus titanum at the Muttart Conservatory in Edmonton, Alberta. 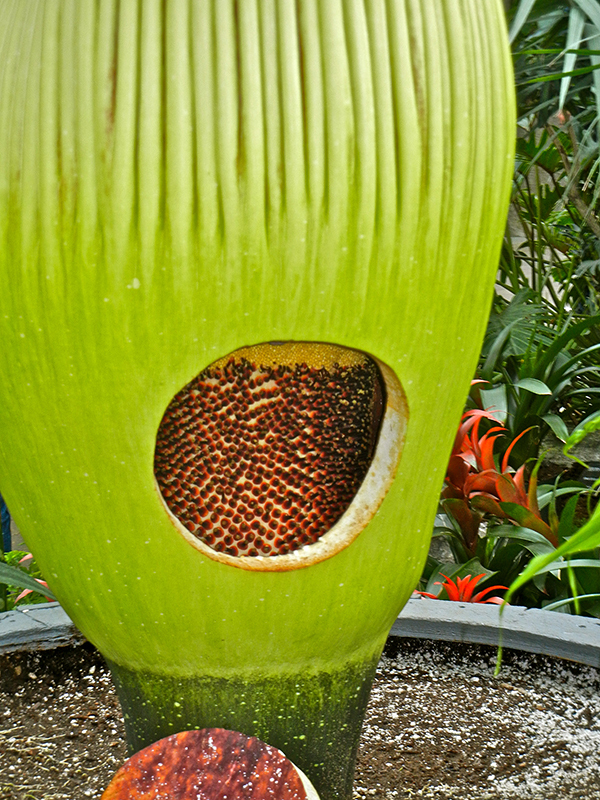 It turns out that Amorphophallus titanum is the largest flower in the world. This one took 10 years to flower and the flower bloomed for 2 days, the 23rd April was the last day. On this day, the botanists at the Muttart cut an opening to harvest the pollen; you can clearly see strings of pollen falling on the female organs, but this plant with not bare fruits as it does not allow self pollination. 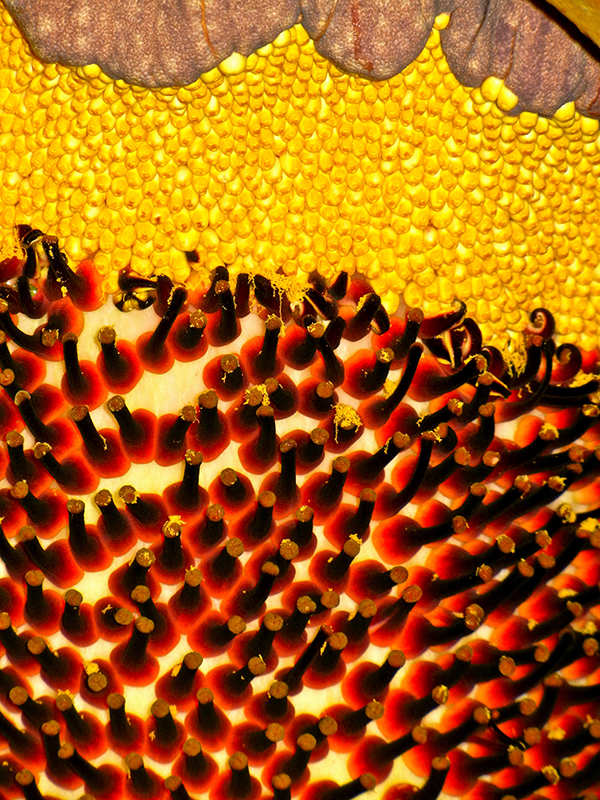 Yves tells us that the appearance of illumination in the above image from inside the core of the flower, comes form the flash of the camera making for a stunning image. Image credits, Yves Sauvé, Ph.D.